​Our Re/Max Ocean Surf and Sun agents are truly the best in Costa Rica. We have assembled a team of professionals that can help you with every step of the purchase process. Our team of agents belongs to the two most important real estate boards in Costa Rica - CCBR (Costa Rican Real Estate Board) and CRGAR (Guanacaste Real Estate Board). All our agents live in the Tamarindo area or Flamingo area and own property themselves, so are committed to Costa Rica, the local community, and their clients. We look forward to working with you! 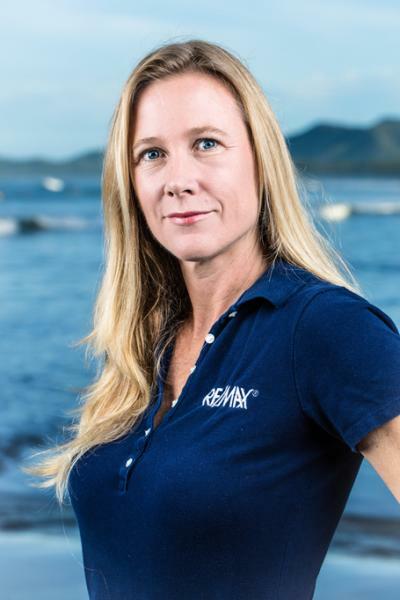 Isabelle is the Broker/Owner of RE/MAX Ocean Surf and Sun of the Tamarindo and Flamingo offices. She relocated to the area from Canada a couple of years ago, where she had owned a construction company that specialized in high-end residences for more than 12 years. She also belongs to CRGAR and NAR and is a multiple RE/MAX award winner. Isabelle works in team with her husband Martin Seguin. They both speaks English, French and a little bit of Spanish! 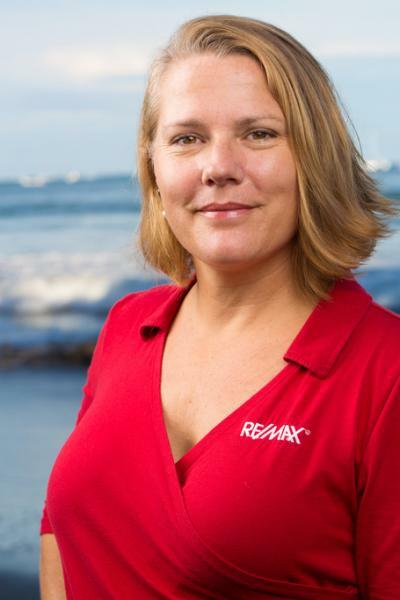 Courtney is the Broker/Owner of RE/MAX Ocean Surf and Sun of the Tamarindo and Flamingo offices. Her educational background is in international business. 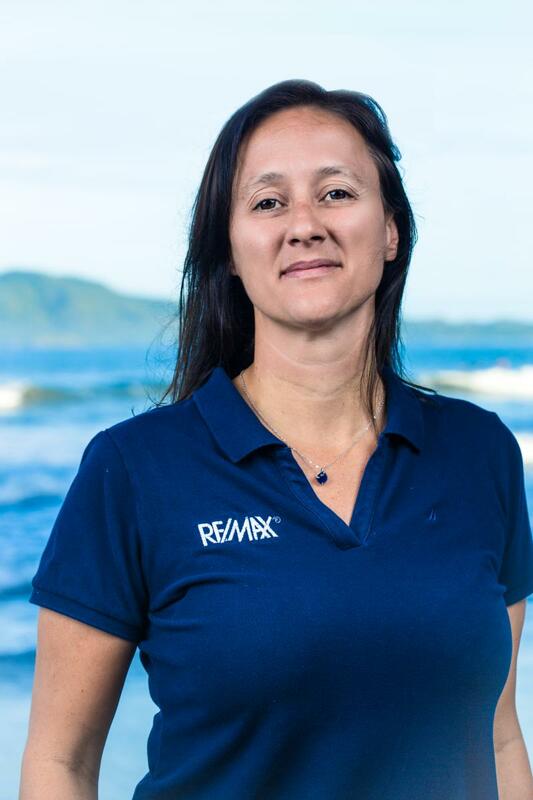 Courtney relocated to Costa Rica more than fifteen years ago from North Carolina, and has served for several terms as the President of Guanacaste Real Estate board. She also belongs to CRGAR, and is a multiple RE/MAX award winner. Courtney speaks English and Spanish! 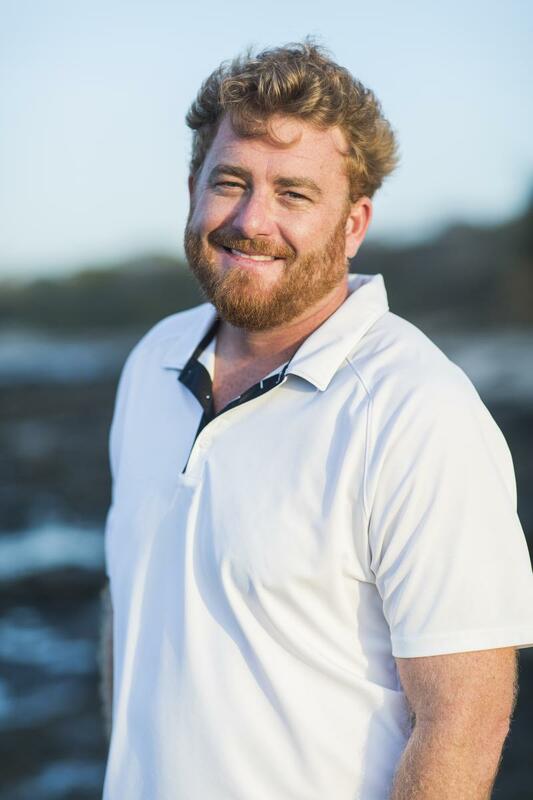 Chris is the founder of our networked team of three offices (Re/Max Ocean Surf, Re/Max Tres Amigos and Re/Max Prestige Ocean). Chris is a Canadian Chartered Accountant who has worked in England, USA, and Canada. His professional experience includes forensic accounting for the Royal Canadian Mounted Police and managing criminal law firms in Vancouver. Chris relocated to Costa Rica with his wife Bonnie and their family over 15 years ago. Chris is a Certified International Property Specialist, and is a multiple RE/MAX award winner including Broker/Owner of the Year. He also belongs to CRGAR, and work in team with his daughter Lisa Simmons. They both speak English and Spanish! Chris is an entrepreneur who founded several sucessful businesses in his home of Kentucky. Chris relocated to Costa Rica after marrying Elena Guerrero (now our Vacation Coordinator) from Liberia. Chris speaks fluent Spanish and is committed to working with his clients locate their piece of paradise. Chris and Elena also volunteer a significant portion of their time to help the local community. Chris speaks English and Spanish! Stacey has been in Costa Rica for many years. Her experience with building The Monte Perla condos is a big plus! She's very active at Tamarindo Church and volunteers a lot in the community with kids! Stacey speaks English and Spanish! Derrick, originally from Florida, first came to Costa Rica in 1991 to visit family and to study on their Biological Reserve known as Las Vueltas High Land Retreat. 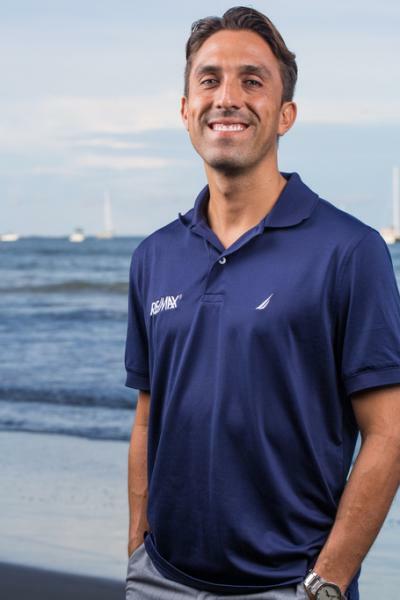 Years later after graduating with a degree in Marketing & Graphic Design, he decided to spend some time down in Costa Rica traveling and studying Spanish. After a very short time, he decided not to return to the US and started a business; he founded a graphic design and multimedia marketing firm that held numerous marketing contracts with big known clients. In 2007, he relocated to Tamarindo. He dedicates endless efforts to ensure the highest quality of service for all his clients. Derrick speaks English and Spanish! Alejandro is a Native Costa Rican, has lived in the area for over 15 years and is well known in the community, knows a lot of people and his charisma and experience in real estate makes people confident. 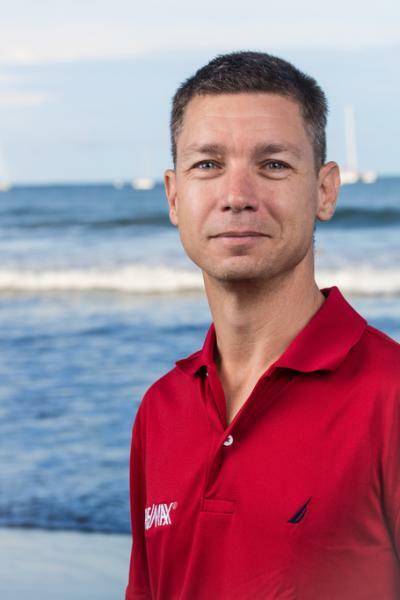 He is a family man, an avid surfer and an Industrial Engineer graduate. He always followed his passion for developing property and built Las Avellanas villas in Avellanas beach in 2005. 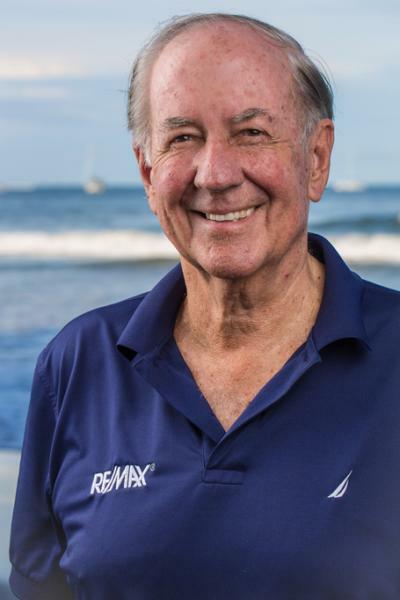 He also worked for 7 years doing sales and property management of a big condominium complex outside of Tamarindo before joining the RE/MAX team in 2015. He can assist you in your investment in English, Spanish and Italian! Derrick is originally from Tres Rio in the province of Cartago, Costa Rica. He moved in Tamarindo in 2016 in search of a better life with sun, ocean and girls in bikini! He is our administrative assistant and works full time with the REMAX since January 2017. Derrick speaks English and Spanish!